I’m Angela Sutton-Vane and I’ve created this site to provide an overview of my work and research. Having graduated with a first class BSc in the conservation of artefacts from London Guildhall University I was later awarded an Arts and Humanities Research Council grant which allowed me to study for a Masters by Research in Material Culture at the University of Exeter. I graduated with a distinction and the award of a second Arts and Humanities Research Council grant meant that in 2014 I could continue research, this time enrolling as a PhD student in the History Department at the Open University. My study has always been interspersed with work – around 20 years working for archives, art galleries and museums, just under 12 of which were spent curating a police museum and archive. 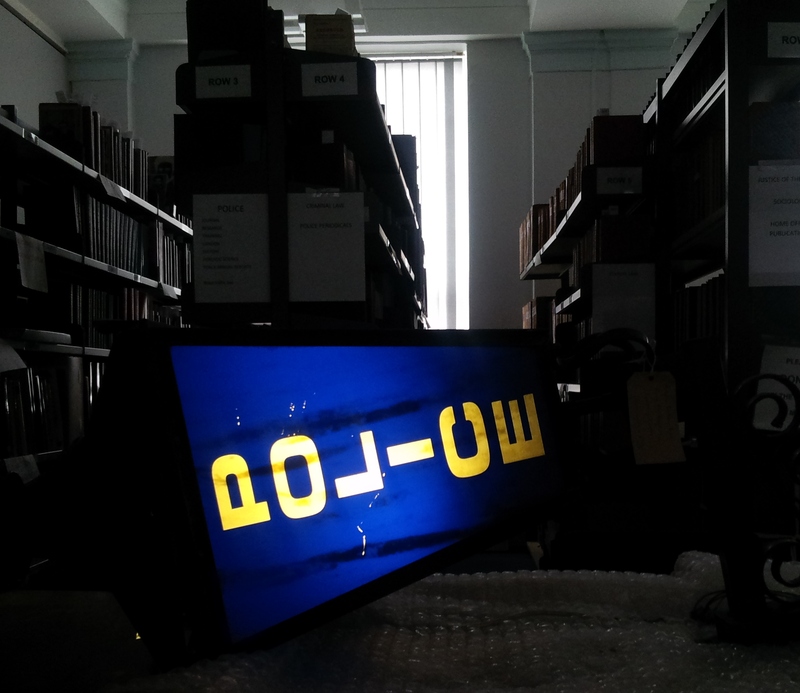 It was this experience, along with earlier work as a tape transcriber for the Serious Crime and Child Protection units of the Metropolitan Police and as a trained police researcher, which led directly to my current research interests around the materiality of police archives – their transient and vulnerable states and their making and meaning. I am currently a passionate supporter and committee member of the Arts Council England Subject Specialist Network Group – The Crime and Punishment Collections Network (CaP), and act as funding advisor, project consultant and mentor for their new Arts Council England-funded project: Rethinking CaP. Please do contact me if you would like to discuss any aspect of my work or research in more detail, or have any comments about the content of my site. All images and documents on this site are copyright to Angela Sutton-Vane, unless otherwise stated. Please contact me if you would like to use any material – generally I will be more than happy to grant permission for educational or research purposes.